Summer break is officially in. But for a mommy like me, this is also the time to prepare for the incoming school year. I have 3 lovely kids aged 9, 7, and 4 who are all into schooling. My son, the eldest, is incoming Grade 4; my eldest daughter is incoming grade 2 while our baby bunso just graduated from nursery and soon to be on kinder 1 class. I believe in the saying "start them young", but even my mom disagrees with me as she says "mapapagod ang bata", "buong buhay mag-aaral na lang?" "sayang ang pera" etc. etc. But again for me, it won't be sayang if it's fully loaded with stuff they need and must know diba? And also for me, education is the only 'pamana' I can give to my child. Now the school hunt is on. As early as now, mom's like me are scouting out for the best school. But what are the things that we need to consider before enrolling our child at a certain school? #1 Location and Safety: This is a high priority that is taken very seriously by every parent before choosing the right school for our children. For me, it should be near to our place and closed to a hospital in case of emergency. It also good to have easy communication with the teachers and personnel in sharing the responsibility of making the learning environment safe and enjoyable for everyone. #2 Teaching Method / Curriculum: It doesn’t matter whether traditional or the other way around, as long as my kid can catch up and cope with it, I'm ok. But the better curriculum the happier we are. Right? It should not only about the school, the learners and the teachers, but also about the development of a society in general. #3 Teacher - Student Ratio + Not Masungit or namamalo Teachers: I always go for a small teacher to student ratio because being too crowded is not good. A smaller class is really good for a better focus and teachers will be more minded of their students. And also it means that teachers have more manageable workloads and more time to work one-on-one with students. #4 Facilities: for safety and security like CCTV, fetchers ID, doorman, first aid, etc. and lastly #5 No Bullying Policy. I know the feeling of being bullied and it's not good for kids who are so young and going to school. Being bullied can affect their self-esteem and focus on studies. I remember not just once but a couple of times that I almost cut classes just to stay away from the bullies. Good thing I overcame it, and as parent now, I'm so worried for my kids that in any case they are going to experience it too. I can only imagine the stress from it. And what if the teacher isn't aware of it or just choosing not to? Aminin may ganyan!!! And I stumble upon a school that passed these factors, The SchoolRoom in Sapphire Road Ortigas. The SchoolRoom advocates a progressive approach in educating young children. But if you take into context the word, “progressive,” many approaches come to mind as this is a rather general term. The SchoolRoom plans to strengthen TSR’s curriculum by zoning into one particular approach called, “Developmentally Appropriate Practice” or DAP for short. DAP is a framework, based on research, on the best way children develop and learn core skills that make them successful in big school and in life. It is hands on, experiential, and engaging. It focuses on the child’s needs and cultural background while giving the same importance to his or her academic and social development. Now what makes The SchoolRoom different form the others? They advocate of providing high - quality early childhood education using Developmentally Appropriate Practices (DAP) through a conscientiously planned curriculum. Nurturing and qualified educators are dedicated to fostering each child’s love for learning by providing meaningful experiences with the intention of developing their five areas of child development (physical, cognitive, social & emotional, language & literacy, and sensory & motor development). They value children, most especially their needs and interests. The over-all development of children and their success in both school and in life are our main priority. They value play as the medium of learning and exploration for young children. Through play and a carefully planned curriculum, children develop to become lifelong learners who are confident, independent, and compassionate individuals. The SchoolRoom's Facilities to look forward to? The preschool environment will be conducive to the child to their needs and interests. Tables and chairs will be appropriate to the child’s height which fosters independence. Special Activity room – They have a dedicated room to allow for various activities to take place every day. We will be focusing on using this room as an arts room, a multimedia room, and cooking/food preparation room, and a natural science discovery center room. The SchoolRoom Loft – this loft allows for imagination and dramatic play while our gross motor area will allow for ample movement to build on their large motor muscles. They will be following a strict teacher student ratio. For the infant toddler class, it will have a maximum of 8 to 2 teachers. For the Nursery and PreK, it will have a maximum of 12 to 2 teachers. For the Kinder class, it will have a maximum of 10 to 1 teacher. Having small class ratios allows for the teacher to go in depth into each child’s learning level, personality and skill. It is focused on the children’s needs, not just as a whole, but as an individual person too. How will you prevent bullying? By fostering a loving, caring, empathetic, and nurturing attitude inside and outside the classroom, educators can become models and ambassadors in promoting a community of helping hands. Positive discipline is also another way to prevent bullying. This involves giving children ways in problem solving in a respectful and kind manner without labeling, shaming, and or corporal punishment. The action done is the focus and not the child – for instance, a child grabbed a truck. A teacher can point out that by grabbing the truck, it hurt the feelings of the other child. That feeling can then be reflected back on the child who grabbed the toy and thus, empathy will come into play. Words can also be taught, like having the child ask the other child “Can I borrow?” or “Borrow (younger children). The SchoolRoom will also have seminars for guardians and caregivers on proper on to properly communicate and interact with young children in a developmentally appropriate manner. If you need more information about The SchoolRoom, you may visit their campus at AIC Gold Tower, Unit 106 Sapphire Road, Ortigas Center, Pasig City or drop a call at 6327754. 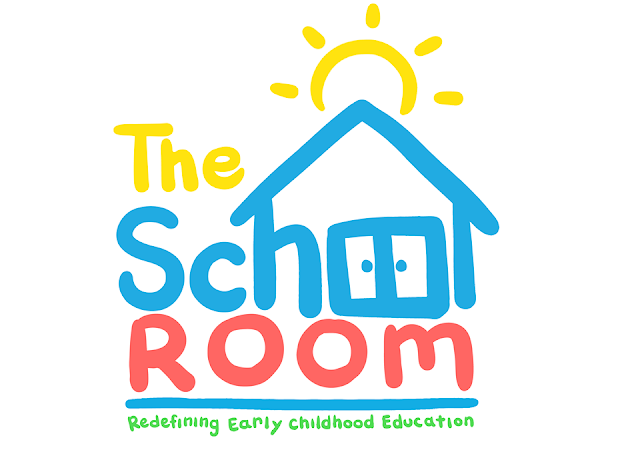 You may visit them online at www.theschoolroom.ph.